Is it possible to adjust the noise gate at all? Only by altering your guitar volume; turning the guitar down has the effect of raising the noise gate threshold (giving less sustain). The gate is set by the component values, which are fixed to give the least amount of crackling when you’re not playing. 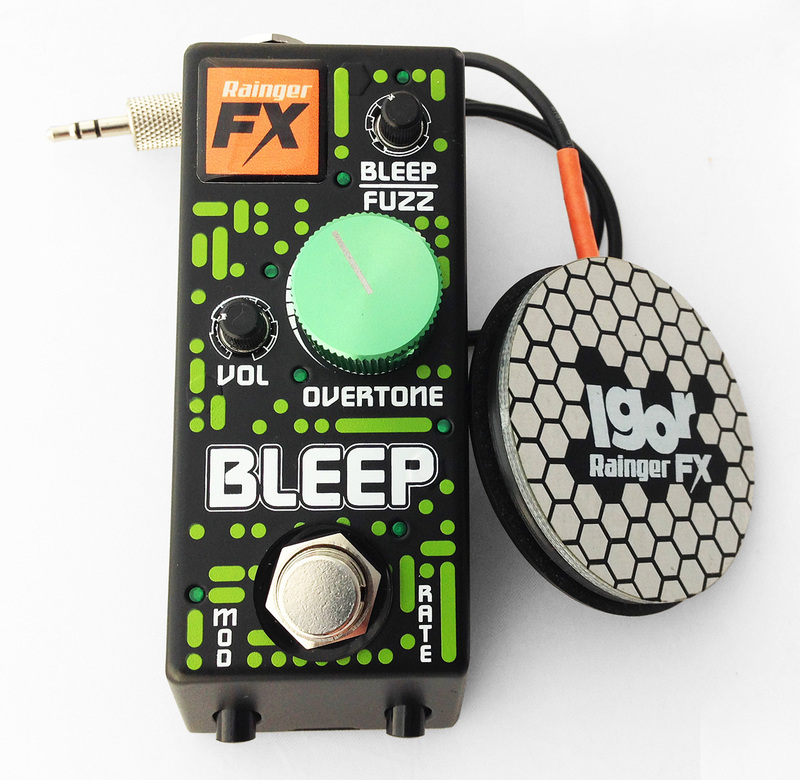 Can the amount of fuzz be turned down? 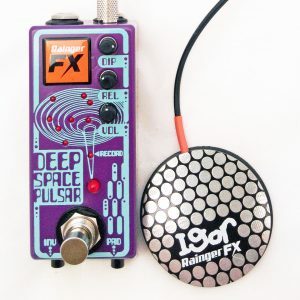 No – this is a full-on fuzz pedal, and works in a completely different way to the usual diode-based distortion circuits. 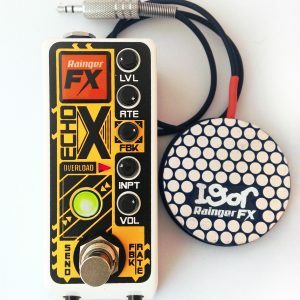 Can the pedal be used with a regular expression pedal? Quite possibly – provided you have a mini-jack adaptor. 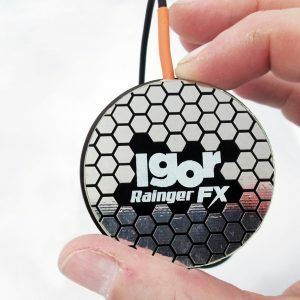 Can I use an Igor from my other Rainger FX pedals? There’s lots of computer code in the pedal graphics… Is the Bleep a digital pedal? It’s not actually, it’s analog. The ‘computer code’ graphics came about because of the bleepy robotic nature. 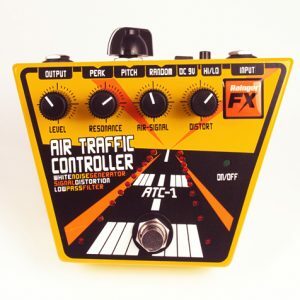 What is the current draw for this pedal?